I’ve been building PCs for over 20 years, and my daytime workplace builds several PCs a day, most of them in the $2-3K range. 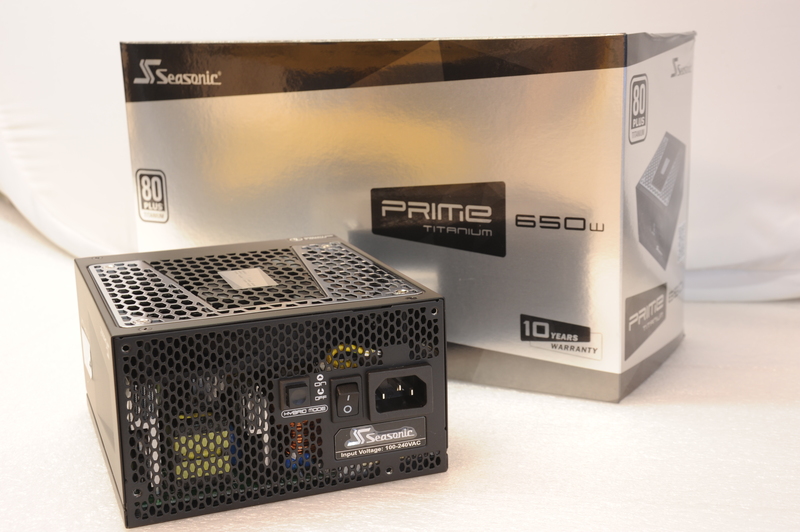 Whilst customers are free to pick any components to make up their own custom-spec PC, we’ve long-ago settled on only one brand for the power supply units we use in our pre-defined system configs – Seasonic. The reasoning behind this choice is that they are reliable, and just work for a wide variety of motherboard and video card ranges. 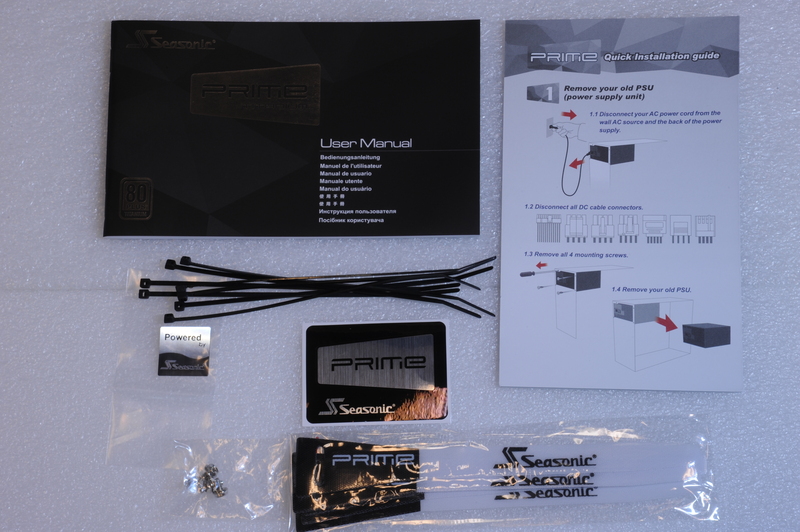 Today, I pulled apart a new offering from Seasonic, the Prime 650W, to see what they are like inside. Why do you need to care about your power supply? The vast majority of computer users never saw or picked the PSU inside their PC – it’s part of their “tower” and they’ll probably only ever get to know about the power supply when the “tower” gets murdered by a lightning strike and they take it to a local PC shop to discover it’s some weird proprietary kind, and it’s less hassle to buy a whole new PC than it is to hunt up a replacement power supply. However, if you build your own PC, or get an “enthusiast” shop to build one from parts you choose, then you are probably going to fill your PC with high-powered video display cards, lots of drives, and a high-power processor, so picking a power supply that is capable of delivering stable power to these higher loads matters. A generic HP desktop might draw as little as 100watts under load – a stacked gamer’s PC with two video cards could hit 500-600w, by comparison, and if the power supply is not rated for loads well above that, the voltages it supplies may sag under full load, with the result that some parts will starve for power and will lock-up the PC or cause it to reset. 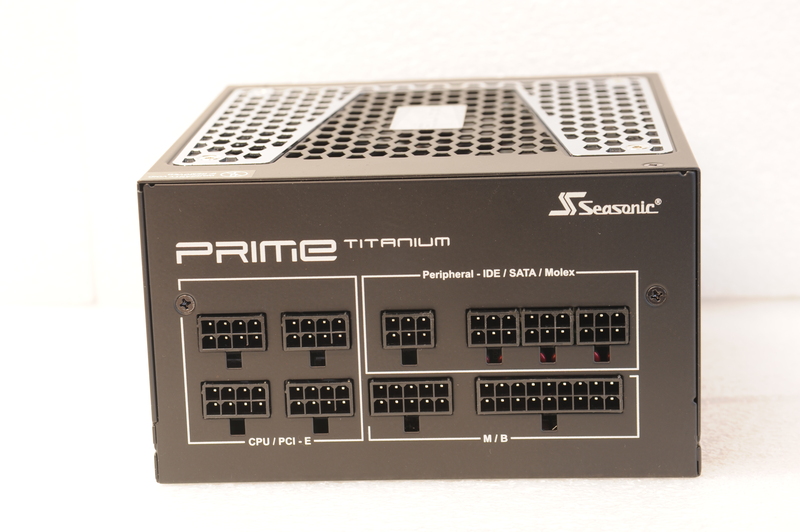 A good power supply will have minimal variation in voltage under load (ripple), and a high efficiency of conversion of the input 240v power to the various 3.3v, 5v, and 12v outputs without losses – the Prime 650W has a “Titanium” rating, which is currently the highest “80-Plus” rating, and indicates it is capable of over 90% conversion efficiency. So who makes power supplies? 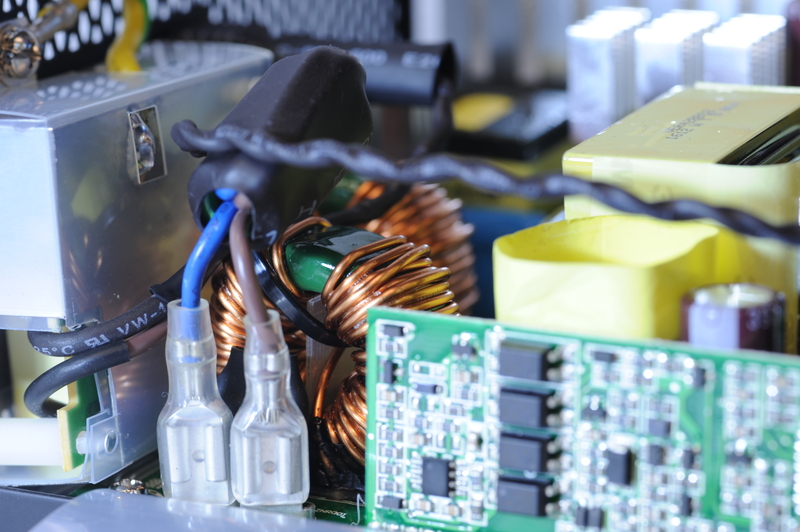 Badge engineering is common in the power supply industry, with the result that lots of well known brands, such as Corsair, and Antec, actually get someone else to make their power supplies. These guys avoid the cost of production lines and engineering to quickly slap their name on someone else’s product – not a bad strategy, as long as the OEM product itself is actually any good. Seasonic is one of the actual manufacturers, and you can find their products in Antec, Corsair, and XFX boxes. They’ve been around for a few decades, and my personal experience with their failure rate is that they fail a whole lot less often than other brands we get asked to sell. This review unit was provided by Powerhouse PC, the exclusive importers for Seasonic in Sydney, and they are also pretty good at giving us an instant replacement in the rare occasion that one should fail. The Prime 650W has a plain black casing with light-coloured grills on top – no flashing lights, fluorescent cables, or colour-changing LEDs – it’s the Toyota Camry of power supplies, plain and simple. 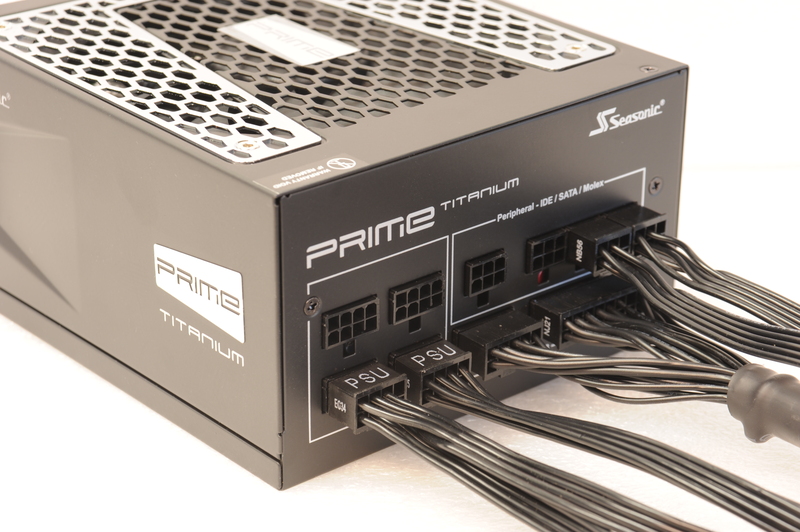 Unlike power supplies of olden-times, or the ones that come in proprietary PCs, the Prime 650W has removeable, or modular, cabling – this way you can plug in the minimum necessary cabling to suit your particular PC’s needs. The sockets shown here are keyed, and the plug ends are helpfully labelled, so you should be able to connect everything up without getting it wrong. Here’s a shot with cables connected – in a decent PC case, you would usually be able to tuck these out of sight, or cable-tie them to the motherboard tray. There’s enough of them to power two high-end video cards, five Molex-powered devices such as case fans, and up to six SATA drives. 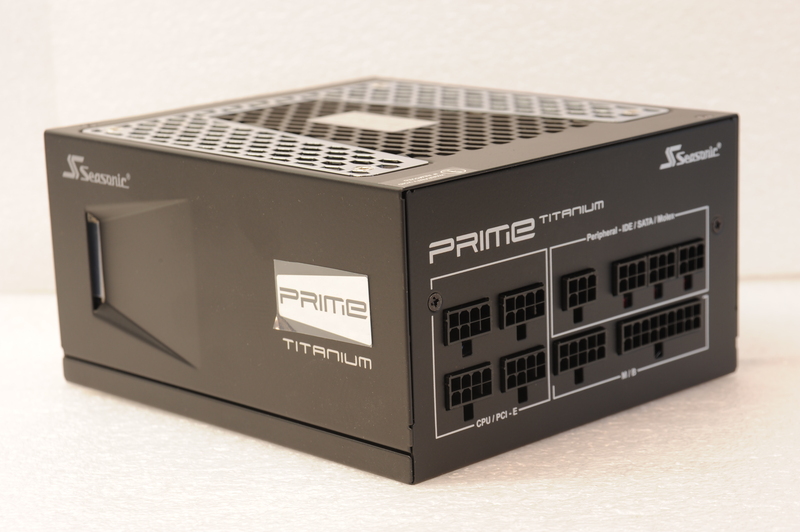 The Prime also comes in 750w and 850W versions, which have another four SATA connectors available. 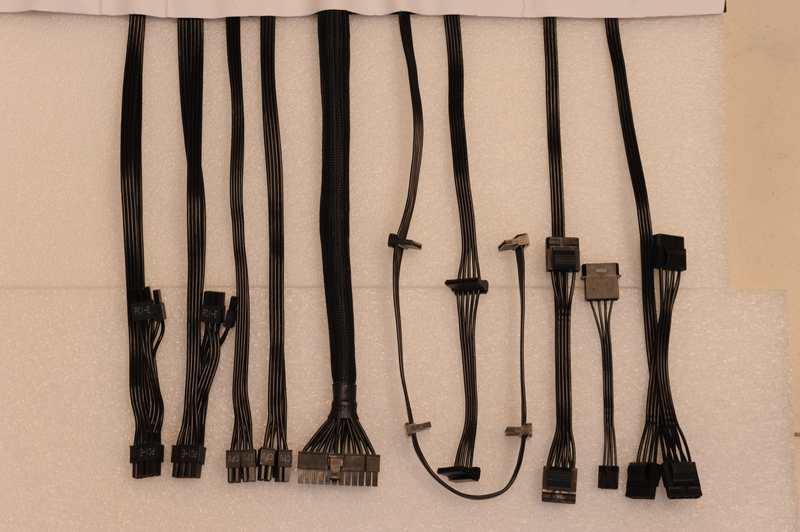 The cables are offered in two formats – the motherboard power cable is sleeved, and the rest of the peripheral cables are thin ribbons. You can buy spare cables if you manage to lose or mangle them. There’s a detailed manual, a set of cable ties for permanent mounting of cables, a set of velcro re-useable ties, some screws and a sticker or two. In older PCs, the power supply was usually solely responsible for blowing out the hot air generated inside the PC – early enthusiast PCs had power supplies with two or even three fans to help with the sucking….and knobs to control them so the users could manually wind them up when things got hot. 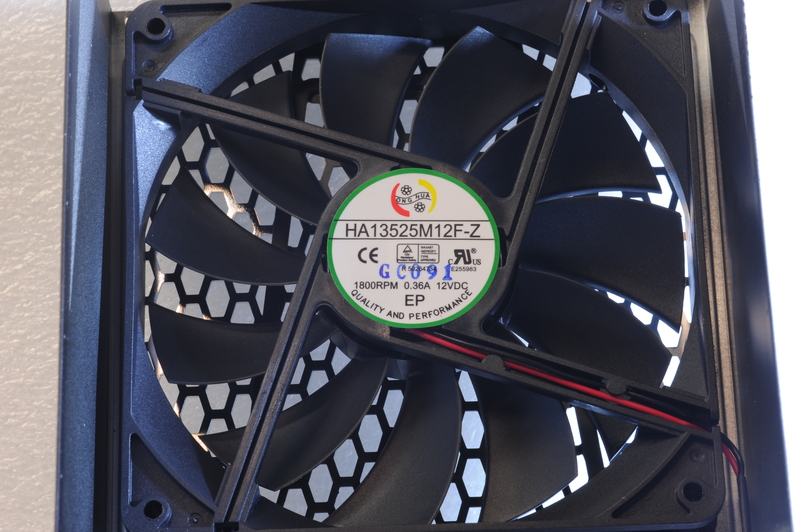 As the years passed, the power supply manufacturers realised that they could get away with one big and slow fan, as they could rely on the case manufacturers to include some cooling fans to share the exhausting load. Consequently, the Prime 650W has a huge and slow 13.5cm fan, paired with a switch on the back – when off, the fan spins all the time – when on, the fan’ll start up when the load approaches 50%, depending on temperatures it senses. This fan has been picked for it’s quietness, has a bearing that relies on fluid dynamics to minimise rattle, and there is a switch on the rear of the casing, accessible from outside the PC, for over-riding the default option. 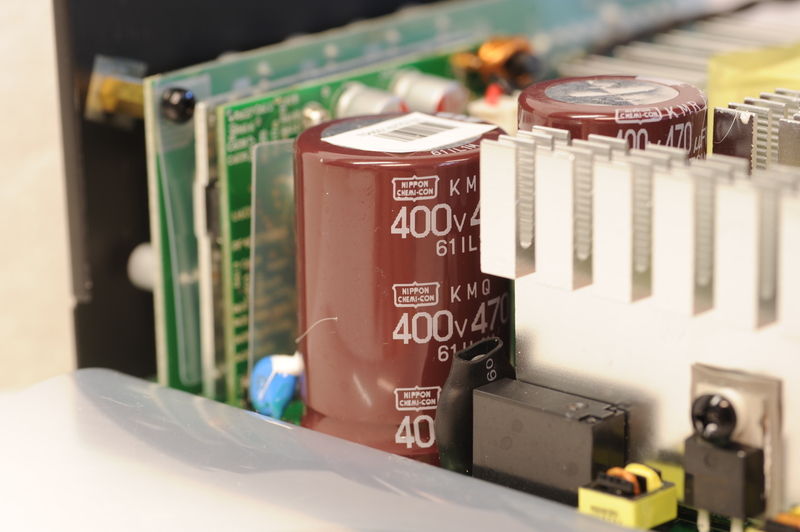 A reasonable rule of thumb for determining quality in power supplies is to consider their weight – a heavy unit contains more components and heatsinks, and is likely to have a higher rating. 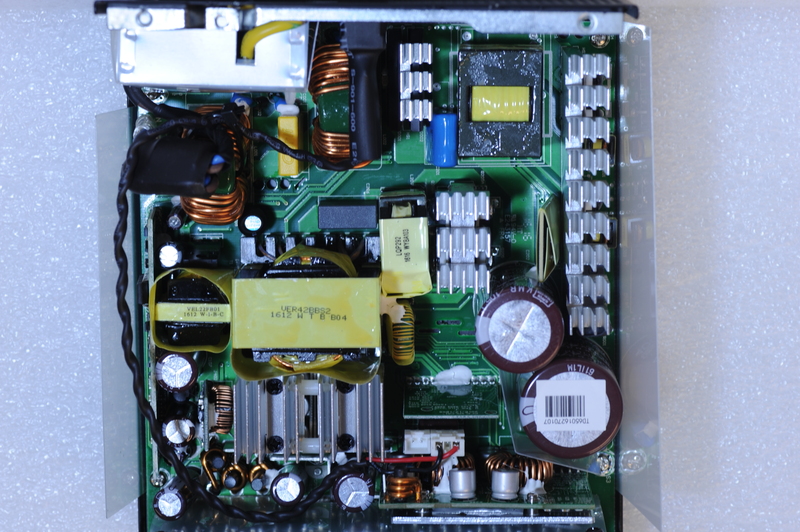 This particular unit has lots of interesting heatsinks, it’s daughterboards are well insulated, and it’s filled with large Japanese capacitors, which bodes well. There’s lots of surface-mount components, which usually indicates a higher level of assembly technique, there’s no loose components, and no messy or sloppy solder joints. Cheaper supplies I’ve opened are usually filled with lots of wiring to terminate the external cabling – not so this one, as all the cables terminate at a copper-backed circuit board on the inside edge, leaving the interior plenty of exposed space for better ventilation. 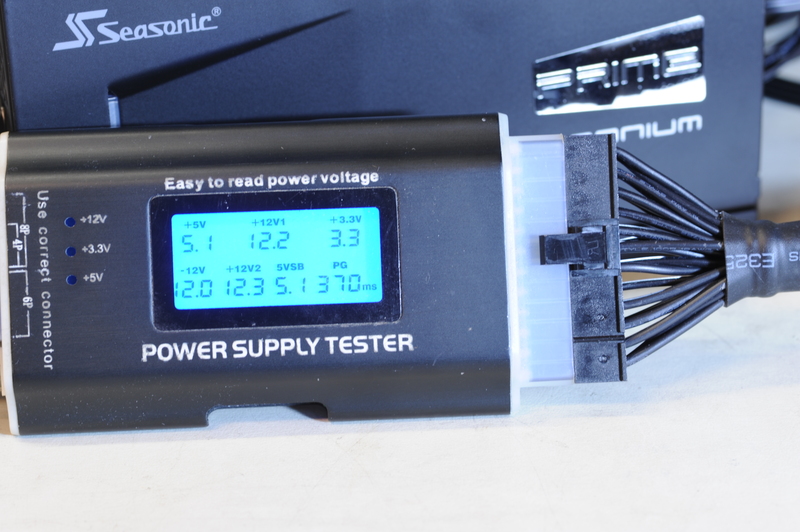 I’ve not yet had time to push the Prime 650W to the limits in our bench test PC, but a quick plug of the power supply tester suggests it’s working fine – power rails at expected levels. If you want a technical breakdown of the performance, check out the nitty-gritty review over at KitGuru, but for most use cases, just knowing it’s well made and honest about it’s capabilities is good enough. We’ll likely be using these in place of the “Gold” Seasonics that we’ve been using in our systems for the past 6 years – recommended. This entry was posted on September 16, 2016, 2:50 pm and is filed under Power. You can follow any responses to this entry through RSS 2.0. You can leave a response, or trackback from your own site.